Every drive is a thrilling one behind the wheel of this precision sports car. A driver-oriented cockpit brings you close to the road, while its sculpted exterior will be the envy of everyone else on it. Its exterior is functional art, with integrated aerodynamic and cooling components that contribute to a precise drive. And because Stingray was designed to be a convertible from the start, performance stays high when the top goes down. Stingray features a driver-oriented cockpit, with a flowing design made from premium materials. Intuitive instruments help you stay focused on the drive, while available heated and ventilated front seats and dual climate control make for a refined drive. A press of the accelerator is all it takes to create euphoria. A 6.2L V8 engine provides up to 460 horsepower, while a choice of 7-speed manual with Active Rev Matching or available 8-speed paddle-shift automatic transmission ensures there's a Stingray to take any driver's breath away. Standard Brembo® brakes provide ample stopping power at a variety of speeds. Standard 19' front and 20' wheels come wrapped in Michelin® Pilot® Super Sport ZP summer-only tires† for incredibly grip and precision control. The available Chevrolet Performance Data Recorder logs video of your driving sessions, along with real-time performance data, onto an SD memory card so you can analyze your technique and improve your driving abilities. And when someone else is driving the car, Valet Mode can capture video and data for additional peace of mind. The 8-inch diagonal LCD display features three customizable themes with varying levels of information, including g force, tire temperature and more. This available display offers three different views and projects data near your line of sight onto the windshield, helping you stay informed while you focus on the road ahead. With the turn of a dial, everything changes. Five distinct, selectable driver modes electronically calibrate up to 12 performance variables to customize your Stingray for any road. Modes include Weather, Eco, Tour, Sport and Track, which adjusts steering and Magnetic Ride Control (when equipped) for race settings. With available head-up display, the latest Chevrolet MyLink 8-inch diagonal screen,† easy-to-use driver modes and an available industry-exclusive Performance Data Recorder, this is the most technologically advanced Corvette to date. Stingray offers support for Apple CarPlay† - a smarter way to use your iPhone® to listen to Apple Music, get directions with Apple Maps, call friends and more. If Android is more your style, available Android Auto† compatibility lets you connect your compatible smartphone to access your calendar, playlists and select apps such as Google MapsTM. An available built-in 4G LTE Wi-Fi® connection for up to seven devices meant the Internet comes along for the ride, almost anywhere you go. With technologies like Active Handling, Traction Control, standard Bi-Xenon headlamps, and 4-wheel antilock brakes, Corvette is designed to help you stay safe through performance. And should a collision occur, a light aluminum space frame provides added stiffness, while OnStar® Automatic Crash Response can send help. Stingray helps to prevent potential danger with features like Active Handling, 4-wheel antilock brakes, a rear view camera, available front curb view cameras and Traction Control. Standard Xenon high-intensity discharge headlamps emanate 900 lumens of light. And if Stingray ever loses tire pressure, run-flat tires enable safe functioning at a moderate speed until the tire can be repaired. 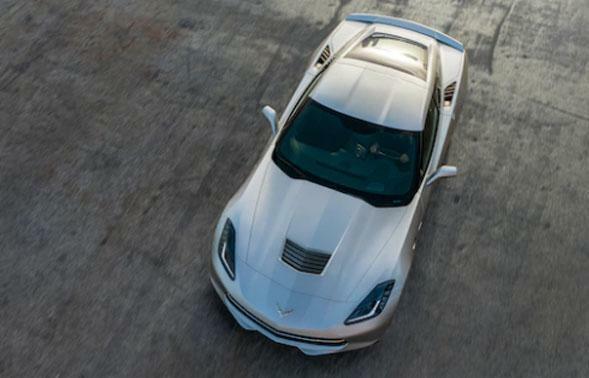 In the event of a collision, Stingray is designed to help keep you and your passengers safe with seat-mounted head and thorax air bags† and a rigid aluminum frame structure that is lighter and stiffer than that found in previous-generation Corvette models. You’re never alone with OnStar® Automatic Crash Response.† Built-in sensors can automatically alert an OnStar Advisor, who is immediately connected into your vehicle and can request emergency help be sent to your exact GPS location – even if you’re unable to respond. OnStar Guidance Plan standard for the first three months. † 455 horsepower with standard engine. 460 horsepower with available performance exhaust. † With available Z51 Performance Package. 4 Do not use summer-only tires in winter conditions, as it would adversely affect vehicle safety, performance and durability. Use only GM-approved tire and wheel combinations. Unapproved combinations may change the vehicle’s performance characteristics. For important tire and wheel information, go to chevyaccessories.com or see your dealer. † Go to my.chevrolet.com/learn to find out which phones are compatible with the vehicle. 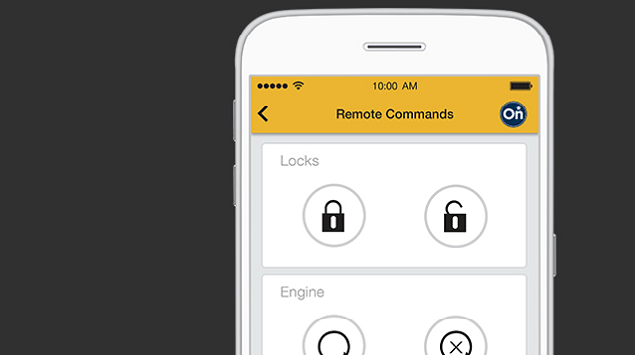 † Vehicle user interface is a product of Apple and its terms and privacy statements apply. Requires compatible iPhone and data plan rates apply. 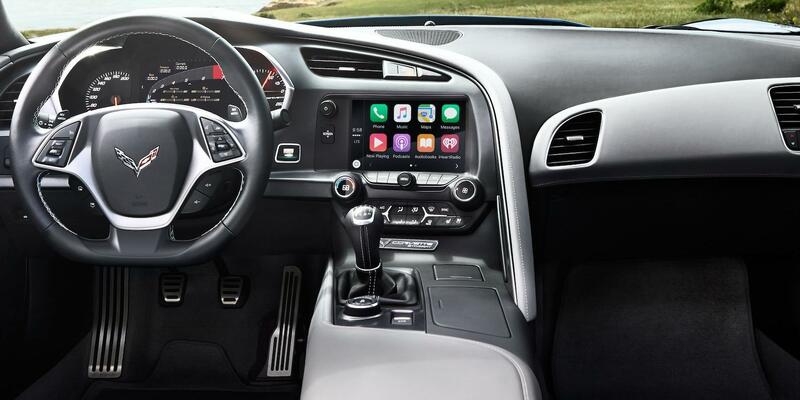 Apple CarPlay, iPhone, and Siri are trademarks of Apple Inc.registered in the U.S. and other countries. † Vehicle user interface is a product of Google and its terms and privacy statements apply. Requires compatible smartphone and data plan rates apply. † Requires active OnStar, compatible device, factory installed remote start and power locks. Data rates apply. Visit onstar.com for details and system limitations. † Available on select Apple, Android, BlackBerry and Windows devices. Services vary by device, vehicle and conditions. Requires active OnStar subscription, which is standard for six months. † Visit onstar.com for coverage map, details and system limitations. Services vary by model and conditions. OnStar acts as a link to existing emergency service providers. Not all vehicles may transmit all crash data.